Transplanted Scotsman Donald Ross (1872-1948) remade the American sports landscape in the first half of this century. At his death in 1948, he left behind a legacy of 385 golf courses that he designed or redesigned. His legendary creations include Pinehurst No. 2 in North Carolina, Seminole in Florida, and Oakland Hills outside Detroit. 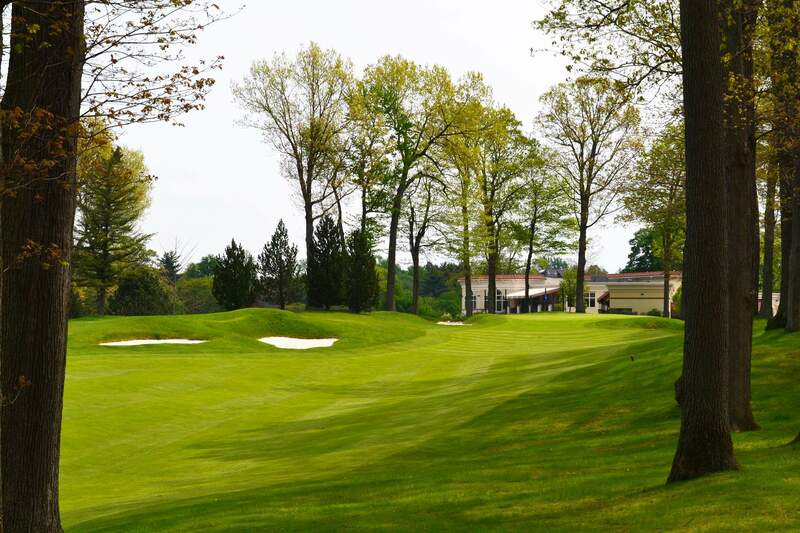 His courses have hosted 21 U.S. Opens, 15 PGA Championships, 11 Women's Amateurs and 5 Ryder Cups. Ross was born in the north Scottish coastal town of Dornoch. There on crumpled dunesland, he grew up playing one of the world's purest links, Royal Dornoch. As a young man he took up "the keeping of the green." After a year of apprenticeship at St. Andrews under the tutelage of four-time British Open champion "Old" Tom Morris, he returned to his native Dornoch. 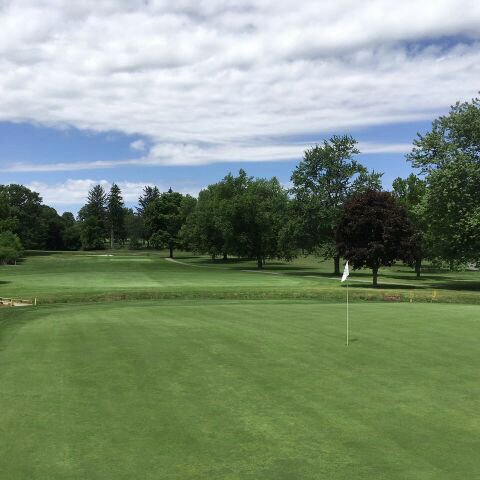 In those days, there was no rigid division of labor for golf professionals, so Ross became adept not only at maintaining the grounds but also as a player and club maker. He was of common stock, making an adequate if unspectacular living. All that changed when an American professor on golf pilgrimage to the sport's holy land invited him to come to the New World to help spread the game's gospel. 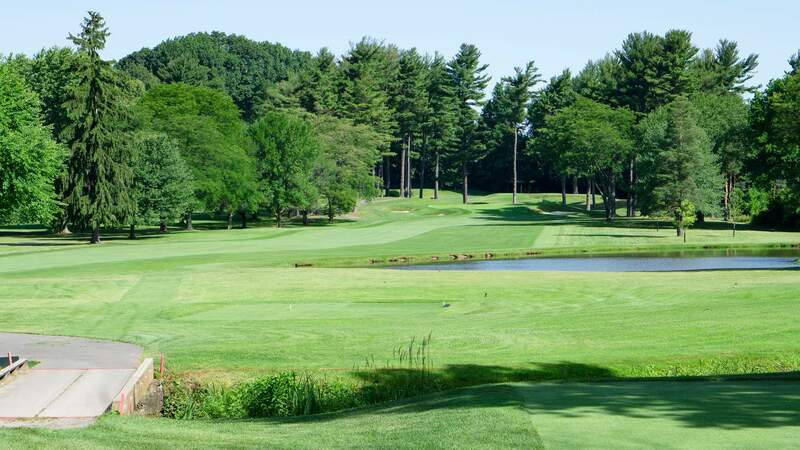 Ross arrived in 1899 to run (and then re-design) the Oakley Golf Club west of Boston. The next year, he landed an assignment with the Tufts family on a property in North Carolina's sandhills called Pinehurst. Eventually, he designed and (re-)built four courses at the Pinehurst resort, none with more love and care than the No. 2 layout. Drawing upon his extensive background in turfgrass management, he revolutionized southern greenkeeping practices when he oversaw the transition of the putting surfaces at No. 2 from oiled sand to Bermuda grass. The work was done just in time for the 1935 PGA Championship. The result was devilishly quick domed greens and a sense of impending doom for any wayward shots. 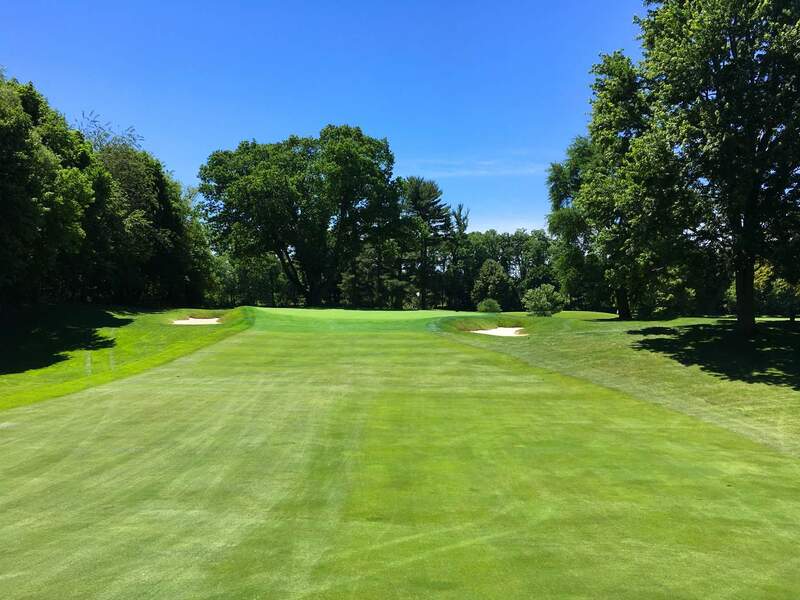 Of all the courses that bear Ross' name, either as original designs or as renovation projects, he probably never even saw a quarter them, and perhaps half he visited only once or twice. Given the constraints of train and car travel in those days, repeat visits were difficult to arrange. Though Ross was a voracious traveler, he did much of his design work from his home in a cottage behind the third green at Pinehurst. There he worked from topographic maps, drew up blueprints, and wrote simple but sharply-worded instructions that his construction crew knew how to implement. Ross had a genius for sound routings, with very little walking required from one green to the next tee. He would commonly route his short par-4s on uphill ground. Other trademarks included greens that invited run-up shots, but with deep trouble over the green - usually in the form of fall away slopes - to punish the overly bold golfer. Ross was also not averse to placing cross bunkers in play to punish the topped shot - off the tee, or some 50 yards short of the green. Sadly, a great number of these hazards have been taken out of play over the years in the misguided pursuit of "ease of maintenance" or "making the course more playable." Ross was a founding member and first president of the American Society of Golf Course Architects, a group that formed at Pinehurst in December 1946. In 1996, a manuscript he first drafted in 1914 called Golf Has Never Failed Me was and published by Sleeping Bear Press includes many of his thoughts about golf, both pragmatic and philosophic. 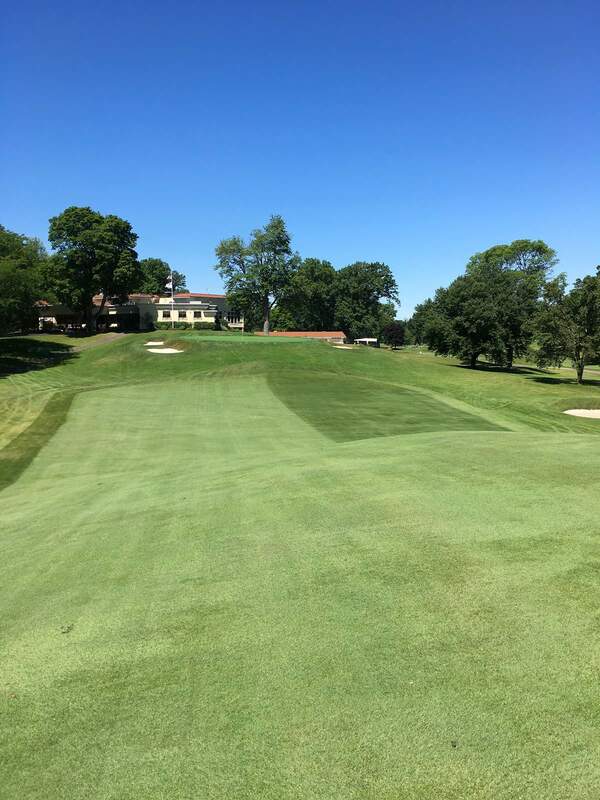 Welcome to our Course Tour – Click each hole # for images and Information. 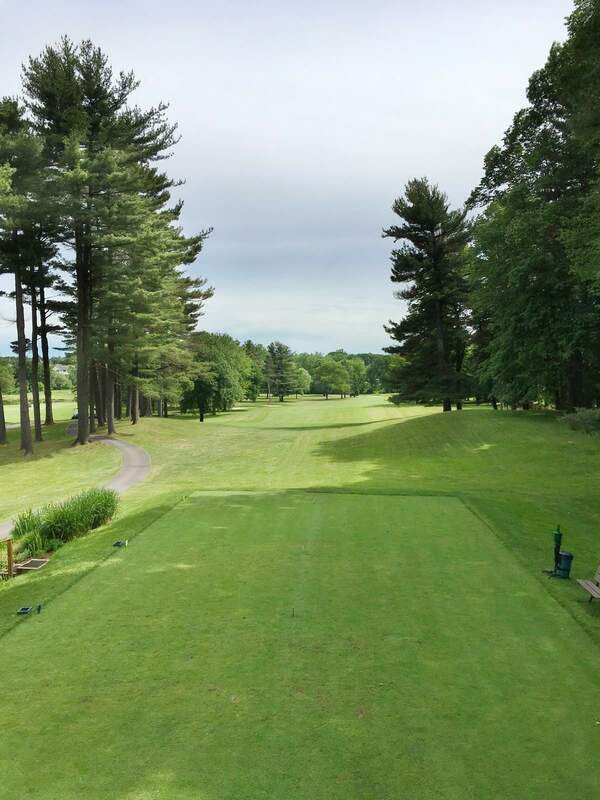 This opening hole favors a tee shot down the left side of the fairway, which slopes gently to the right. An accurate tee shot will leave a short iron approach and a nice opportunity for an early birdie. 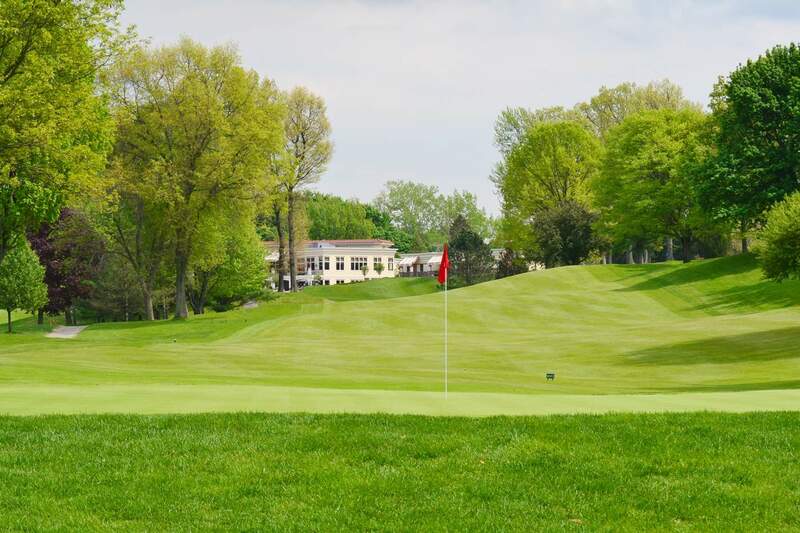 This uphill par 3 is a classic Donald Ross “chimney” design, with the green sitting atop a plateau which drops severely on the front, left, and right sides. The first of three par 5’s on the front nine, this hole is reachable in two with a good tee shot. A blind second shot with the potential of an uneven lie adds a bit of a challenge. This hole has eagle or birdie potential, but miss in the wrong spot and par is no guarantee. The green on this par 3 slopes significantly from back to front, and it is advantageous to keep the ball below the hole. A solid fairway wood or hybrid to the left center of the fairway leaves a short iron approach to an elevated green. Missing the green left will leave a difficult pitch up a severe slope. 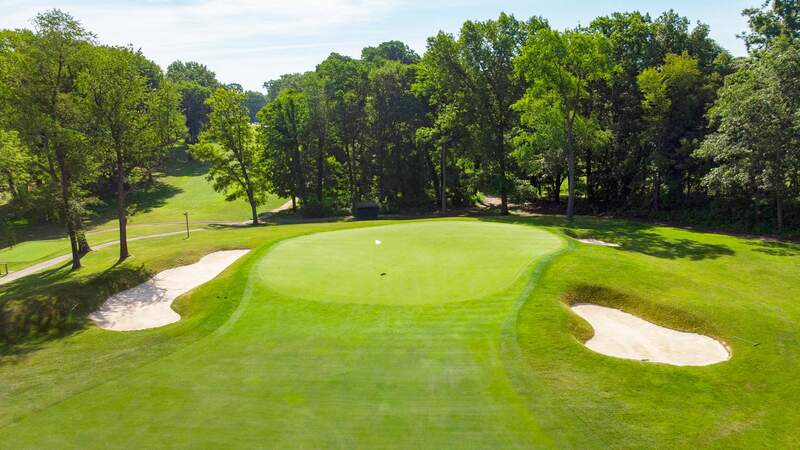 The shortest of the four par 3’s, this downhill classic “short” hole features a narrow green with surrounding bunkers. It is a good birdie opportunity with a good wedge shot. 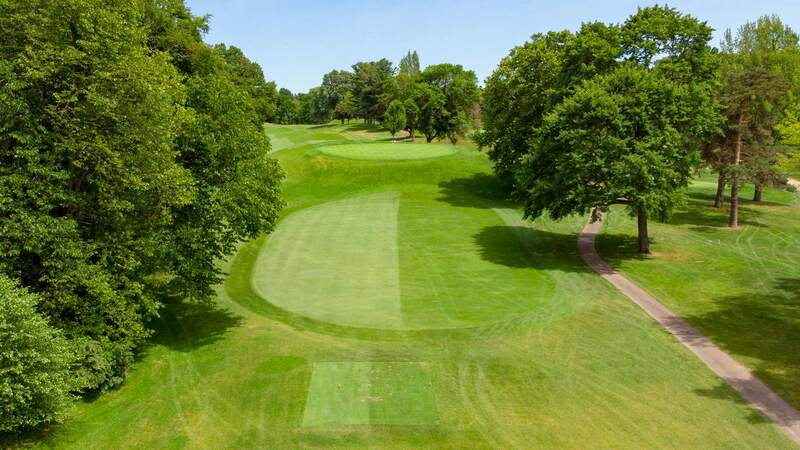 The left side of the fairway gives the player a nice view of the green around the signature majestic oak tree, which splits the fairway at the 200 yard mark. 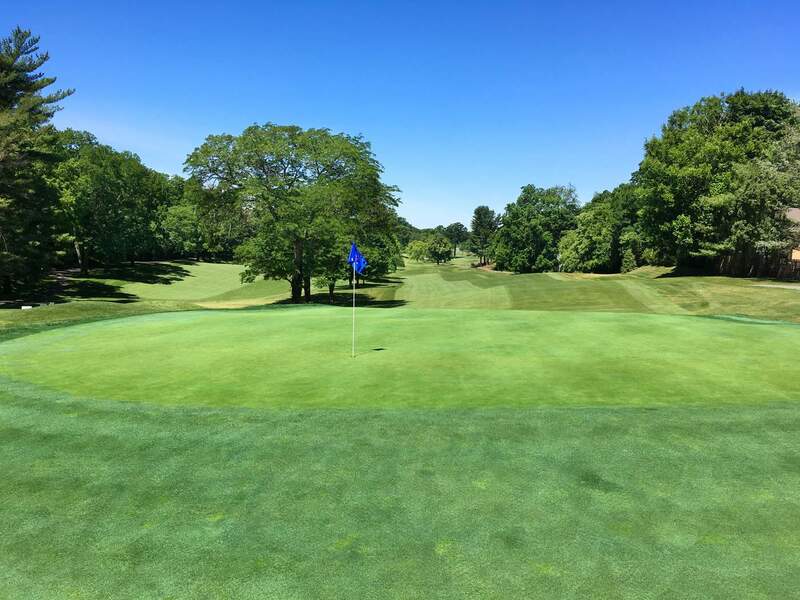 The green features several contours, which allows a variety of interesting hole-locations. 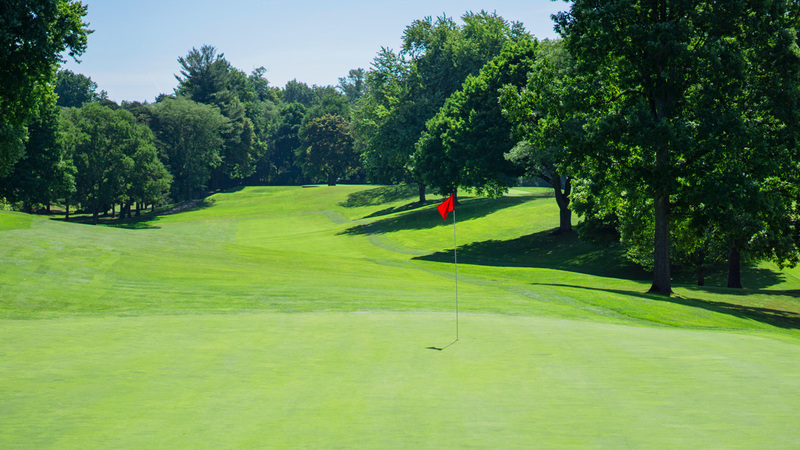 This difficult par four requires a precise second shot to a small, and severe green. It is imperative to stay below the hole, as the two-tier green slopes harshly from back to front. This is the last par 5 until the 18th, and features unique undulations throughout the fairway. 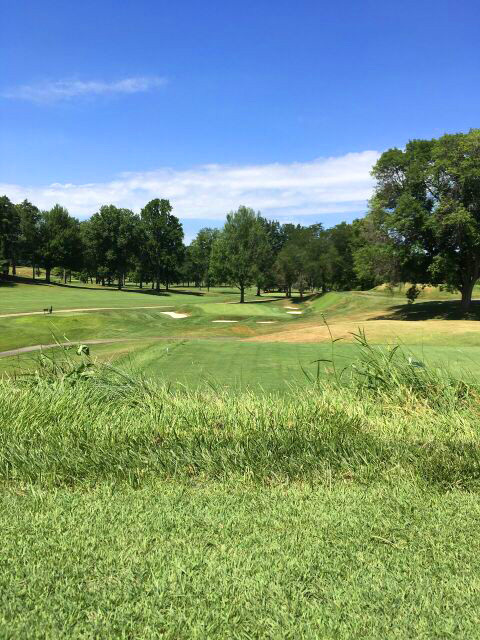 While it’s not considered a long par 5, the elevated green is difficult to hit in two. The tee shot favors a left to right shot, which leaves a mid-short iron into this difficult green. Missing the green left or long creates a very challenging up and down. Two well placed fairway bunkers guard the left side of this slight dogleg left. The large oak guarding the front right corner of the green makes it important to find the fairway. 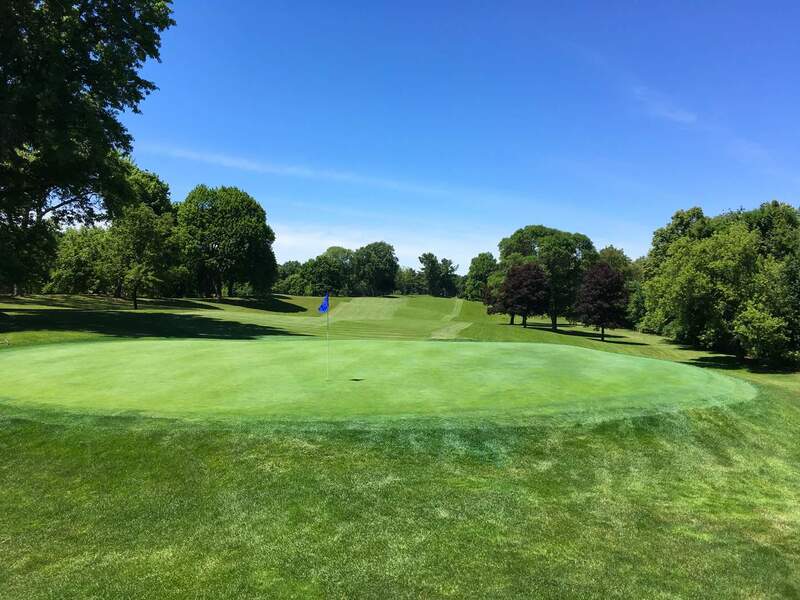 This short hole offers a chance to drive the putting surface, but missing in the wrong spot will create a very difficult pitch or bunker shot to the large, contoured green. 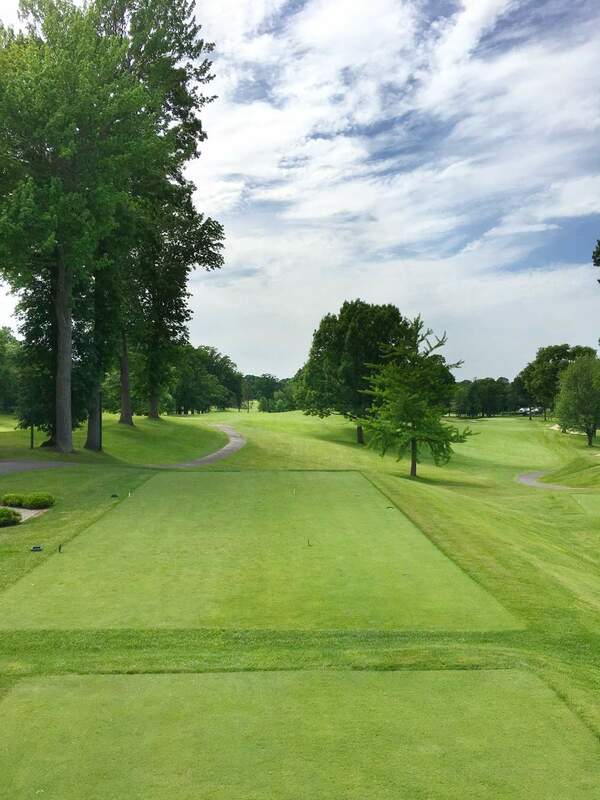 Known as one of the most difficult par 4’s in the district, the tee shot is typically a fairway wood or hybrid in order to stay short of the creek. This leaves a medium-long iron into this elevated green, which is severely sloped and surrounded by deep bunkers. 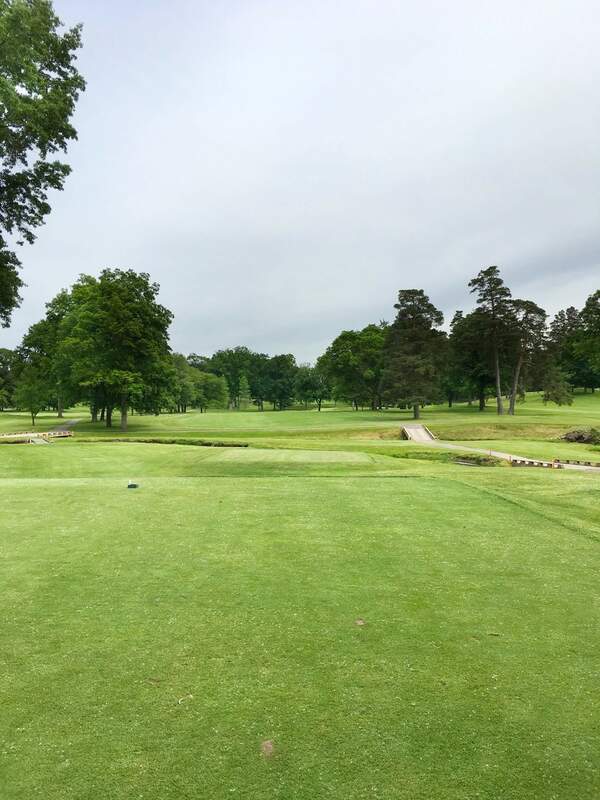 This dogleg right rewards a good tee shot with a nice opportunity for birdie with a solid mid-short iron. 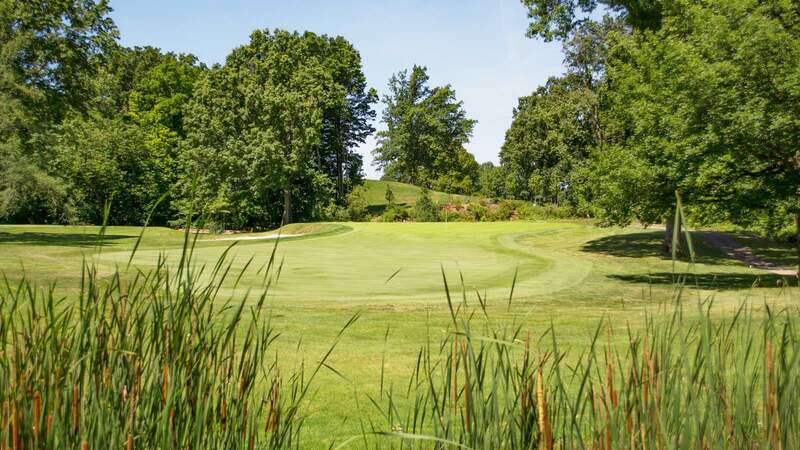 The creek surrounding this green makes a precise tee shot a must. Distance control is key, as long putts on this green are anything but routine. The hole-location on this hole determines its difficulty. Front locations are very accessible, as the slope up to the back tier serves as a backstop for incoming shots. Aggressive iron shots to the back tier brings long into play, and could leave a treacherous shot from behind the green. This long, uphill par 4 is one of the most picturesque on the course. 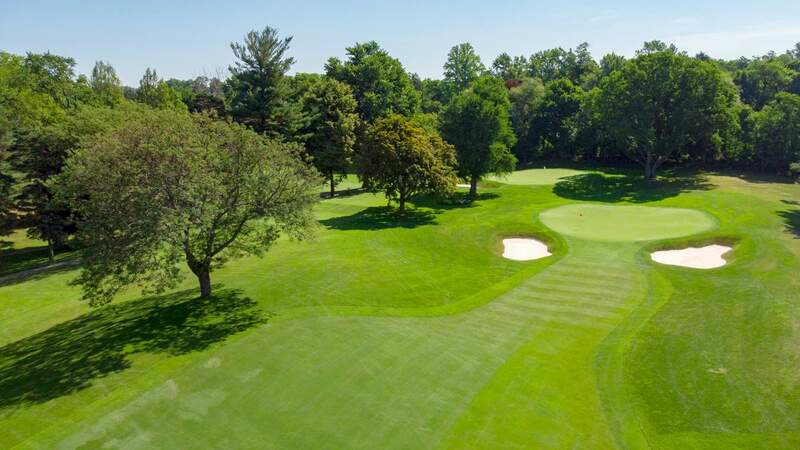 The second shot requires a solid mid-iron into an undulated green, and any miss on the short side of the hole will be a tough test for even the best player. 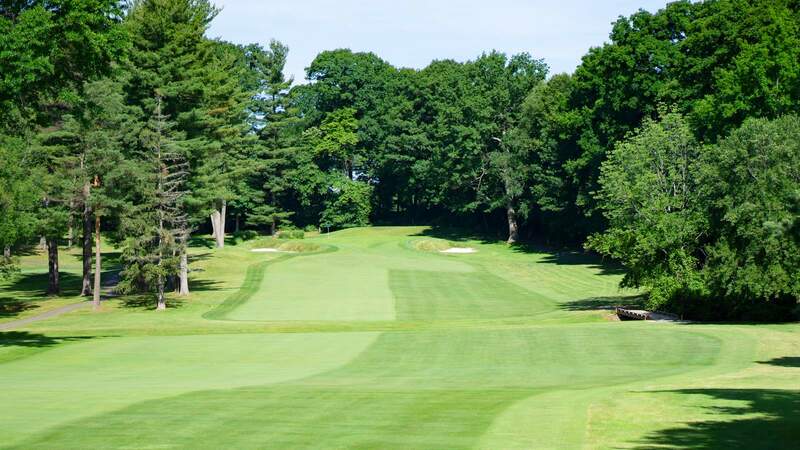 This uphill dogleg left is carved through a grove of stately oaks, and favors a right to left tee shot. While the green is reachable in two, it is well protected by a bunker on the left, and a slope on the right. Two good shots will leave a nice chance for a closing birdie, but an errant second shot could lead to a difficult opportunity for par.